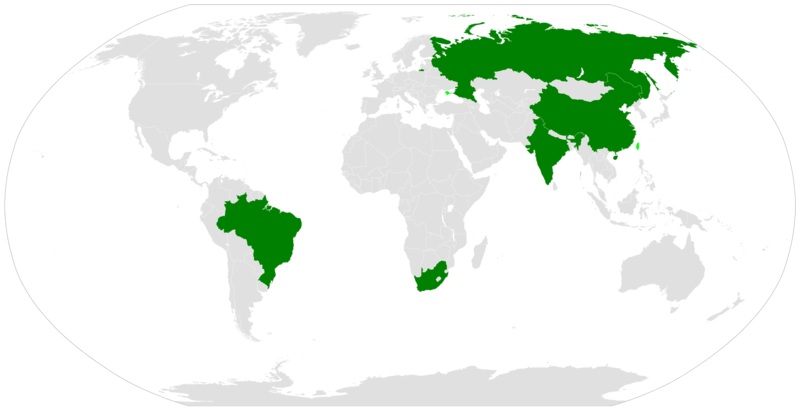 The New Development Bank (NDB), formerly referred to as the BRICS Development Bank, is a multilateral development bank operated by the BRICS states. The bank’s primary focus of lending will be infrastructure projects with authorized lending of up to $34 billion annually. South Africa will be the African Headquarters of the Bank named the “New Development Bank Africa Regional Centre”. The bank will have starting capital of $50 billion, with capital increased to $100 billion over time. Brazil, Russia, India, China and South Africa will initially contribute $10 billion each to bring the total to $50 billion. The BRICS Contingent Reserve Arrangement (CRA) is a framework for providing protection against global liquidity pressures. This includes currency issues where members’ national currencies are being adversely affected by global financial pressures. It is found that emerging economies that experienced rapid economic liberalization went through increased economic volatility, bringing uncertain macroeconomic environment. The CRA is generally seen as a competitor to the International Monetary Fund (IMF) and along with the New Development Bank is viewed as an example of increasing South-South cooperation. It was established in 2015 by the BRICS countries Brazil, Russia, India, China and South Africa. The legal basis is formed by the Treaty for the Establishment of a BRICS Contingent Reserve Arrangement, signed at Fortaleza, Brazil on 15 July 2014. With its inaugural meetings of the BRICS CRA Governing Council and Standing Committee, held on September 4, 2015, in Ankara, Turkey it entered into force upon ratification by all BRICS states, announced at the 7th BRICS summit in July 2015. China has also initiated development of their own payment system called CIPS that would alternative to the SWIFT system. The Cross-Border Inter-Bank Payments System (CIPS) is a planned alternative payments system to SWIFT which would provide a network that enables financial institutions worldwide to send and receive information about financial transactions in a secure, standardized and reliable environment.